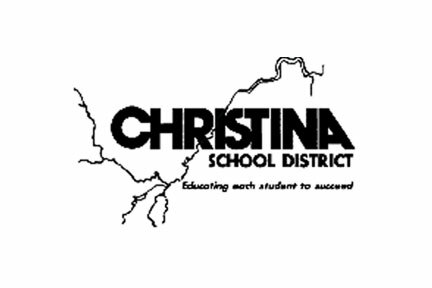 The Christina Board of Education has once again postponed voting on a memorandum of understanding with Gov. John Carney and the state Education Department, voicing concerns about taking action on a plan to consolidate five Wilmington schools into two at a sparsely attended meeting held in Newark. “We have to be OK with taking that vote here, tonight, with this audience,” board member Elizabeth Paige said, making it clear that she wasn’t. Besides a News Journal reporter, photographer and two of Paige’s children, there was only school staff in attendance. Paige said the meeting was originally scheduled as a study session and that there had been no meaningful attempts to let Wilmington parents know such a decision could be made Tuesday night. She also once again expressed concerns that the agreement itself was too focused on buildings and adults and not on children. I’m with Ms. Paige, this comes across as being about real estate. Probably because it’s the only thing carved in stone in this plan. Some of the school board’s biggest concerns about the plan have been tied to funding. Specifically, their concerns have revolved around additional money for teachers and staff taking on additional responsibilities, funding for renovations at Bancroft Elementary and Bayard Middle schools, funding to reduce class sizes, and funding for students living in poverty or learning English as a second language. Carney’s office seems to have conceded on at least a few of those points. For instance, the agreement no longer prohibits the school district from using new state funding to pay teachers and staff for extending the school year and school day as a result of the agreement. It also says new state funding can be used to reduce class sizes or hire instructional coaches. Carney’s recently unveiled budget proposal also includes $6 million for the Opportunity Grants program, which assists schools serving high poverty and non-English speaking students. That’s a three-fold increase over the current allocation. The program would shift from a competitive grant-program to automatic funding. The last few versions of the Christina agreement have also said Carney’s team will request 80 percent of the costs, up to $15 million, for renovations at Bayard and Bancroft. Christina would still have to pay for 20 percent of the renovations, which would likely require a referendum, board member Fred Polaski said. Those are good ideas, however, the successful implementation of this plan still comes back to funding – something that isn’t guaranteed. That’s the problem. If this plan requires a referendum then we see the funding problem clearly. Referendums, especially in Christina, are extremely difficult to pass. Add to this that the money raised in this referendum would be targeted (and only come into existence) for renovations at city schools (altho, I’d guess if Christina had to hold a referendum to finance this plan then the district would add other capital improvements) and we see the problem. This is the district that would have been impacted by the vetoed legislation that sought to exclude equal application to charter schools for Christina city kids. I’m not seeing this referendum, for this main purpose, passing. I haven’t even touched on the GA voting to fund this plan – which doesn’t seem guaranteed either. Without funding, how does this plan happen? Which is why I agree with Ms. Paige: This strikes me as being about real estate – consolidating five schools into two. Perhaps, that’s the discussion that should be on the table. But (John) Young said there’s just too much uncertainty around the plan. There’s no guarantee all the state funding will come through, he said. And much of the plan hinges on that money. That’s the concern, and it needs to be addressed. I think that Ms. Paige is right on here — this effort is more focused on saving real estate costs than it is on improving the education experience of the kids here. As far as I can tell, there hasn’t even been a discussion that starts with “How to we address the needs of children that walk in the door challenged by a multitude of issues.” Also, how do we plan for a good educational experience after we put all of these grades together in one building. Long term business improvement for Delaware cannot bypass a wholesale improvement for its riskiest schools. Interesting piece in the Journal today about special needs students… Would be interesting to drill down a bit into these statistics and the root cause for the growth in special needs population.